Dubai-headquartered construction tech startup WakeCap has rasied $1.6 million in seed funding from a group of global and regional investors, the startup announced this morning. The investors include two leading construction companies, Consolidated Contractor Company and Abunayyan Holding, US-based Graphene Ventures and SOSV, Inspire Ventures from Saudi, startAD Seed anchored at NYU Abu Dhabi and SeeCo Capital. WakeCap had been raising the round since last few months and has closed it now – we had reported about it earlier this year in a story when the company had raised the first tranche of $300,000. Founded by a team of industry experts including Hassan Albalawi, Ishita Sood Kochhar, Roy Gilsing, Rene Wassenburg, and Rami Nassouh, WakeCap is an IoT-based enterprise solution that improves the safety and productivity at construction sites. Its IoT device comes integrated with construction helmets. The device enables construction site and project managers to access their workers’ attendance, location and accidents in real-time, allowing them to automate these manual processes, quantify workforce productivity and improve the safety measures. The company also creates a wireless mesh-network at construction sites, with the same sensors that it uses for the helmet, by placing the the nodes all over construction site, which allows the site managers to track not only people but tools and equipment as well. The device also offers a two-way alert system between workers and their supervisors to ensure effective site evacuations in case of an emergency and field reporting. WakeCap is currently running multiple pilots in Dubai with some large construction groups. One of these pilots is the Opera Grand Tower in Downtown Dubai which is a ~$136 million (500 million dirham) project by Emaar being constructed by one of WakeCap’s investor, CCC. In a conversation with MENAbytes earlier this year, Hassan Albalawi had said that construction is just a starting point for WakeCap, “Our solution leverages sensors, asset tracking, analytics and wearable technology to more effectively execute the work activities of an industrial or field worker and therefore can be adapted to other sectors like the mining or the petroleum industries to help reduce non-productive work, create a safe work environment, automate workflows and improve efficiencies ultimately improving the bottom-line,” he had noted. 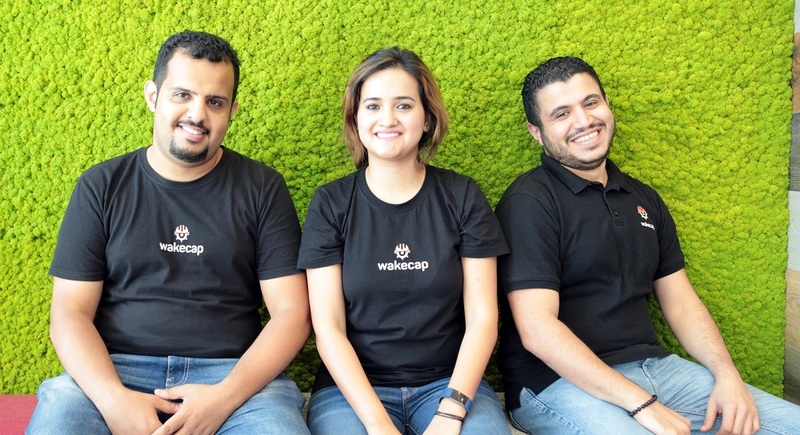 It is a very good ‘start’ as we rarely hear about construction companies from MENA making investments in startups.WakeCap is now backed by two of them – and they’re pretty big names. Abunayyan Holding, just like CCC, will be implementing WakeCap’s tech, company’s Investment Manager Abdullah Almedbel, announced in a statement, adding that they will use it across all their subsidiaries. They hope that WakeCap’s ‘simple yet creative’ solution will help them improve the safety and production levels at their construction sites. Rakan Alakeel, Founding Partner at Inspire Ventures, notes that they are always on the lookout for startups that offer unique solutions with an aim to disrupt a particular sector and WakeCap easily fits the bill. The startup plans to use this investment to further develop their tech and expand their customer base across the region.